pickled caulifower | eating with S.O.L.E. A growing favorite in our family is pickled cauliflower! It is so versatile as an addition to meals and snacks! I have used it in the winter in salads, samosa filling, and in salad rolls. 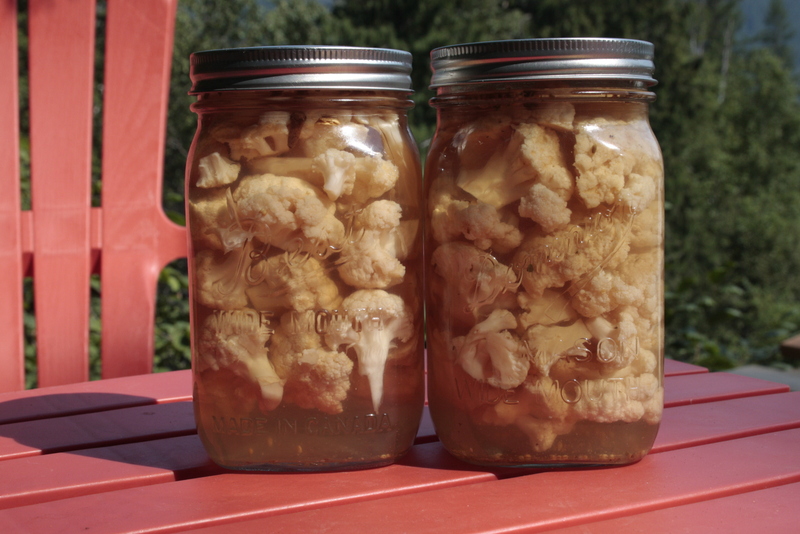 Pickling cauliflower is no different than any other pickled veggie, aside from beets. Slice cauliflower into small florets. Ta Da! Now you have pickled cauliflower which will be divine come winter time. Shauna! This pickled cauliflower would be so good smack dab in January. I think I will add some spiciness so visions of the Caribbean appear. Love your site, that saskatoon syrup looks amazing too! YES MAKE IT HOT! Yummmm! I am using this now in Jan, in lovely winter salads!